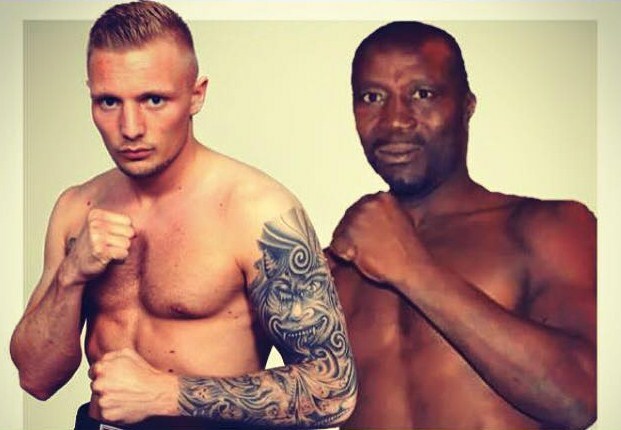 Newcomer Andreas Lynggaard, 1-0, take on experienced and tough Ghanian Charles Adamu, 24-7, December 4 in Copenhagen on the Danish Fight Night promoted by Mogens Palle and Brian Nielsen. Adamu fought Patrick Nielsen on his last visit to Denmark over twelve with the WBA International supermiddleweight title at stake on Sauerland Promotion's Nordic Fight Night. This past week the EBU announced that stablemates at EC Boxing Igor Michalkin, EBU 175 lb champ, and Karo Murat, mandatory challenger, would fight December 5 in Hamburg on Sauerland Event's show that is topped by Jack Culcay vs Dennis Hogan. At the same time the IBF says that an eliminator between Sullivan Barrera and Murat is in the works. The December 5 showdown have not been confirmed by neither EC Boxing nor Sauerland Event. EC boxing boss Erol Ceylan have not been available for a comment. Igor Michalkin is sidelined with illness and thus Karo Murat have entered the scene and face Sullivan Barrera December 12 in a IBF eliminator. Michalkin vs Murat that was announced for December 5 in Hamburg is off – if it ever was on. EBU supermiddle champ Hadillah Mohummadi first had Mohamed Ali Ndiaye as challenger for his defence November 6 in Milano but he had to pull out due to illness. He was replaced by Giuseppe Brischetto, who however never showed up. Since then there´s been attempts to have Mohummadi defend the title November 28 but that is now off as no suitable opponent could be found. As for Brischetto he later explained he had not been given leave from his duties in the special forces and that's why he was a no show. As previously the voluntary defence by EBU lightweight champion Edis Tatli didn't materialize and he will now fight a non-title eight-rounder in Helsinki November 21. Thus the EBU is calling for purse bids for the fight against mandatory challenger Emiliano Marsili that expires November 25 at noon Rome time. Marsili is ranked # 2 by the WBC and may have other plans in the works though. EU bantamweight champion Giodi Scala (8-1) defends the title December 11 in Isola Liri against Frenchman Hassan Azaouagh (17-10). This is a voluntary defence by the titleholder.